Lulu Island Energy Company Ltd. This public platform, like Facebook, Twitter and others is provided to facilitate open dialogue in the upcoming civic election. As with any public platform, the reader is free to accept or reject any comment at their pleasure. Comments can be submitted in confidence to the “contact us” section of this web site. The politician being evaluated is encouraged to submit comment for publication. Bought and paid for by developers. 45% of donors are developers. level of campaign spending seen as corruption of democracy. Cannot be trusted to vote for good of community. Supported opposition to a Massey crossing bridge. More donor shenanigans ? 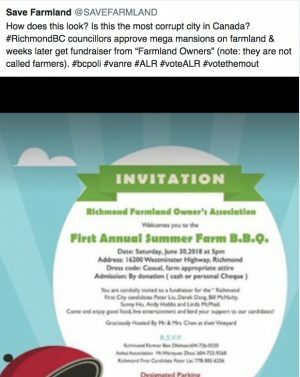 Getting thanks from the mega-mansion builders who apparently continue to stuff the bank accounts of “Richmond First” Chak Au and cohorts with a BBQ. As tweeted, …. most CORRUPT city in Canada ? See here for the details. Our government is a social contract between citizens to elect representatives who will make decisions for the greater good of our society. Your vote determines who those representatives are. 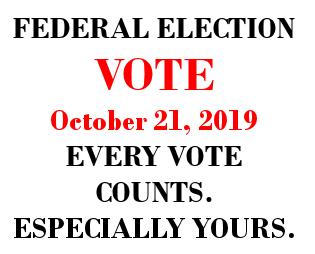 Your vote holds them to account. Be informed. Vote wisely. We oppose excessive taxation, wasteful spending, and economically crippling property assessments.